Home » Study: Record Number of Babies Conceived Through Assisted Reproductive Technologies in U.S. The year 2012 saw a record number of ‘test-tube babies’ being born in U.S., with 61,740 newborns. This figure was recorded in the annual report of the Society for Assisted Reproductive Technology (SART), an organization of medical professionals. The SART consists of 379 member clinics, which represent more than 90 percent of infertility clinics in the country and the organization reported a total of 165,172 in-vitro fertilization (IVF) procedures performed. The treatment involves an egg from the mother-to-be or a donor fertilized in a lab dish and transferred back into the womb. In 2012 it led to the birth of 61,740 babies, about 2,000 more than in the year 2011. Although, out of the 3.9 million total baby births in the United States in the year 2013, IVF births accounted for just over 1.5 percent of the total, this figure is more than ever before. The rising percentage of IVF births may be because of an increase in the average age at which women are giving birth for the first time. As people age, fertility problems become more common. The average age of first-time mothers today is about 26 years in comparison to 21.4 years in 1970. This increase in the number of test-tube babies also indicates that the technology has become popular, but critics of the IVF procedure identify that there is a lot of variation in the success rates. Zoll added that ever since the first test tube baby was born in England in 1978, IVF treatments have consistently failed at least two-thirds of the time. Previous data from SART revealed that the percentage of attempts which result in live births is 10 times higher for women who are below the age of 35 than for women who are above 42. Also, only less than half of the IVF pregnancies result in live birth in older women. Some research from Peking University and Harvard University may increase IVF success rates though in the years to come if a new screening method they have developed can analyse the genetic health of an embryo and see if it will lead to a healthy baby birth or not. An alternative culture method demonstrated by American and Belgian researchers may also reduce the cost of the treatment in future making it more available worldwide. But, IVF treatment is not without its risks. A previous study in Netherlands this year showed that the overuse of the treatment could lead to more risks than benefits with many more couples being suggested the procedure, even though their fertility problems can be treated with other methods and they may conceive naturally. They warned that children born through IVF may have high blood pressure, adiposity, glucose levels and more generalized vascular abnormalities, compared with children who are conceived naturally, and these potential risk factors should be known to prospective parents considering the treatment. In another comprehensive scientific analysis of more than 300,000 births, Australian birth records from 1986 to 2002 revealed that women who conceived with the help of any type of fertility treatment (artificial insemination, IVF, fertility drugs, etc.) were twice as more likely to suffer a stillbirth, have a very underweight baby, or a child that died within the first month than those that had conceived naturally. For those that had conceived with IVF alone, the risk was five times that of naturally conceived babies. These researchers also warned of the powerful hormonal drugs being used during IVF treatments to acquire more eggs. They said that it could have long-term effect on the mother’s health and lead to a ‘hormonal hang over’ affecting womb and placenta after implantation. An interesting statistic of the year 2012 that the present report reveals is the decrease in the number of twin and triplet births. IVF treatment has for a few years now been associated with an increase in multiple births but as per the 2012 statistics, fertility clinics transferred fewer embryos per cycle, which has reduced these numbers. 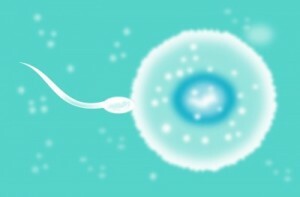 IVF physicians were criticized for many years for transferring multiple embryos to increase the chances of pregnancy. This often resulted in the birth of triplets and even higher multiples, with the babies being born with low birth-weights and other health risks. From the rising number of births, it is clear that test-tube babies has become a viable option for couples struggling with fertility issues. But with more and more such clinics taking root, it has also become very important for these would-be parents to be aware of the risks of the procedure and then make an informed decision.